Owner of a brick-and-mortar Daytona Beach resume service that's not listed here? Want to be? Contact us and let us know! Situated two thirds of the way up the eastern coast of Florida, the city of Daytona Beach is a year round holiday destination. The beach areas are packed with tourists throughout most of the year but the population of this scenic town of 60,000 almost quadruples during Speed Week when the world renowned Daytona 500 motor race is held. In all the city attracts almost 8 million visitors every year. Downtown Daytona Beach is a loose assemblage of restaurants, bars and shopping districts. 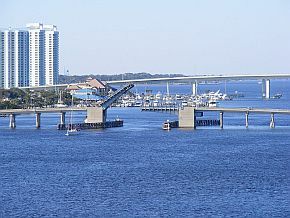 The city is home to the headquarters of NASCAR, Grand Am and the International Speedway Corporation as well as the United State Tennis Association and the LPGA. The weather in Daytona Beach is typical for any coastal Florida city with the summers hot and rainy and the winters pleasantly cool. Over the past decade, it has seen continued growth through good and bad economic times. In short, it is an excellent venue for any person or business who wishes to enjoy or capitalize on the outdoor activities.